In these series, we’ve basically seen it all. Nearly getting eaten by your date, nearly eating your best friend, to almost getting eaten by a crazed gourmet. 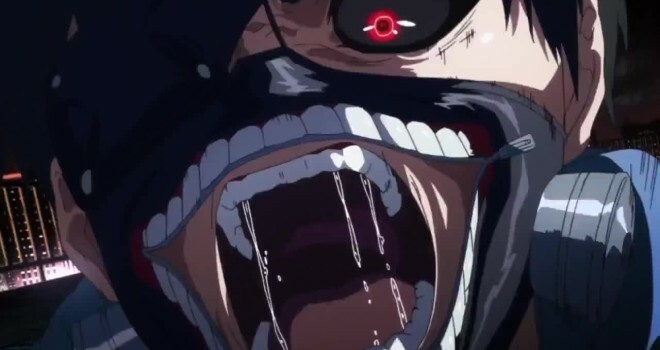 Just who in this series doesn’t want to eat Kaneki Ken? I’m really starting to feel for him, at this point. 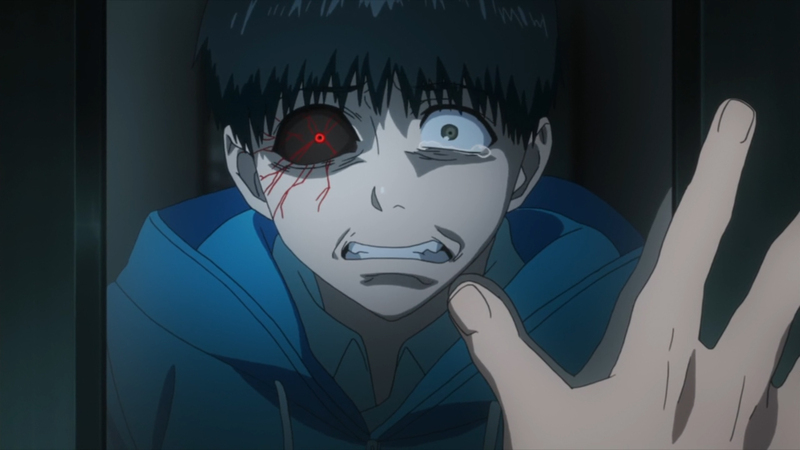 So here’s the run-down of Tokyo Ghoul within eight episodes– In a nutshell. Kaneki has a hard time deciding who that bad guys are: Investigators, or ghouls? Now, let me elaborate a little bit on episode nine, which just aired on August 28th, 2014. Here, within the first six or seven minutes of the episode, we get a flashback of Mado and Amon, from which Amon first started working as an investigator. What they’re trying to accomplish here, is for the audience to get where Amon is coming from when it comes to his newly found hatred for ghouls. Which is great, don’t get me wrong, but they squeezed it in the first few minutes of the episode, and then cut it to the opening sequence. Later on, we see that Amon gets reassigned to the 11th Ward. To me, this episode seemed completely rushed, and was a cluster of a bunch of stuff, and I think I know why. Things are about to go down, and everything is leading up to the climax of this season. Even the mentions of a war are about to break loose, and this is the writer’s way of summing up a lot of different elements so they can get on with the plot. Here, we are introduced to two new characters. A mysterious, unnamed white-haired boy who has taken an interest in Kaneki (surprise, surprise) and we get to meet Ayato Kirishima, Touka’s younger brother. Sorry to burst your bubble, though, he’s not a good guy. Coming from the 11th Ward, he’s come to look for Rize in the 20th Ward, where his sister is. I can sense a confrontation very soon. And it’s not going to be pretty. Not to mention, ‘Jason‘ is also on Rize’s case. Just who is this woman, and why is she so important to these bad guys? Wonder how they’re going to react to the news that she’s dead. What’d you think of the series so far? Are Ayato and Touka going to have a nice family reunion? No? Well, a girl can only dream. We’ll see what’s in store for our cast of characters in next weekend’s episode.